Standby Power Generators: How Can We Be Sure They're Ready to Go? NTT Inc. - Standby Power Generators: How Can We Be Sure They’re Ready to Go? Standby Power Generators: How Can We Be Sure They’re Ready to Go? Standby generators form part of the Emergency Power Supply System (EPPS) defined in National Fire Protection Association (NFPA) Code Standard 110, Standard for Emergency and Standby Power Systems. While many structures (hospitals) and some building systems (emergency lighting) require Level 1 systems, not all organizations need standby generators or Uninterruptible Power Supplies (UPS) of that caliber. Level 2 systems in applications less critical to human life and safety are often installed for buildings like restaurants, jewelry stores, data centers and other vital (but not lifesaving) enterprises. Keeping those standby generators (and their smaller cousins, portable generators) in optimum condition assures building occupants of a safe, smooth transition from the power grid to emergency power. Any maintenance crew or facilities manager attempting to perform or oversee maintenance on a standby power supply needs accurate, specific guidance. Fortunately, plenty of organizations already provide recommendations for standby generator maintenance. These are specific guidelines to keep emergency power systems ready for action, so business owners using Level 2 systems can relax, even if they are unfamiliar with some of the maintenance demands. Organizations needing Level 1 systems usually expect highly trained personnel to perform these regular maintenance tasks, so they can trust their equipment in real emergencies where lives are at stake. The International Electrical Testing Association (NETA) outlines its inspection and testing procedures for standby generators, uninterruptible power supplies (UPS) and Automatic Transfer Switches in Chapter 7 of its Standards for Maintenance Testing Specifications for Electrical Power Equipment & Systems. 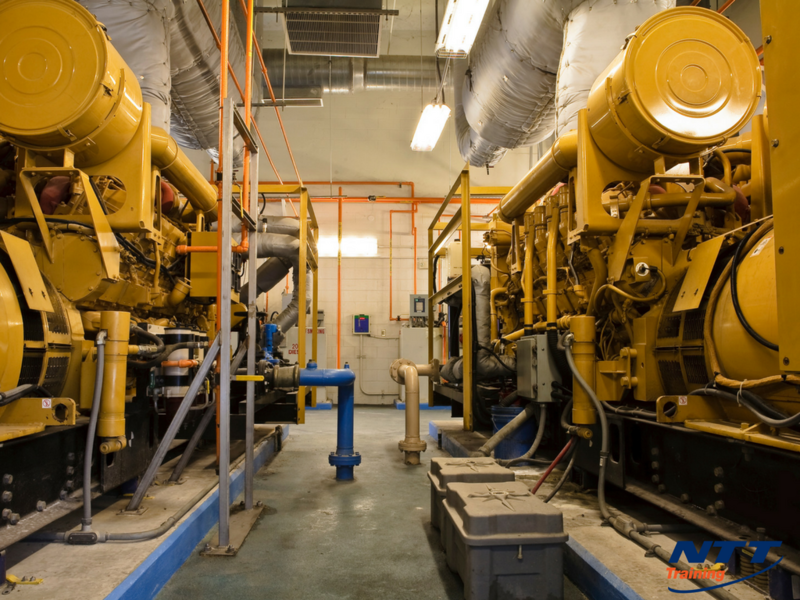 Visual inspection means inspecting the physical and mechanical condition of the generator, inspecting its anchorage, alignment, and electrical grounding, and cleaning. In addition, you should perform “as-found” tests and, later, “as-left” tests to ensure the generator is responsive. This is far more than just “give it a kick and check the oil,” so a checklist that requires sign-off by the maintenance crew is recommended. The NETA recommendations suggest a high level of training and knowledge; a rigorous course in emergency power systems maintenance can provide that practical knowledge. The large standby generators required of Level 1 systems are not the only methods businesses use to provide emergency power. Even a humble Mom-n-Pop operation knows the value of having a portable generator ready to go when the main power grid fails. With increasingly frequent weather emergencies, the corner grocery store needs a way to keep freezers freezing and refrigerators chilling. For these smaller, portable generators, regular inspection and maintenance is just as important. Though not as rigorous as the work needed for their big brothers, these junior generator maintenance programs can ensure even the smallest store can stay powered and helping its customers. To receive the best training and instruction in maintaining standby generators, attend NTT Training’s seminar on NFPA 110, Standby Power Generation. Connect with NTT today for more information on this life-saving seminar.